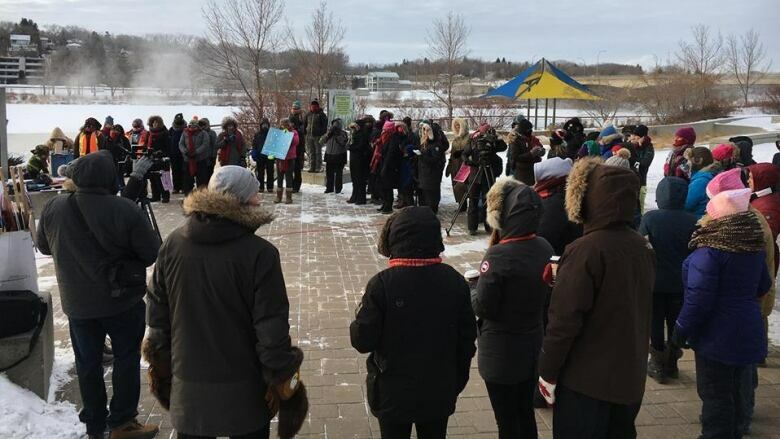 About 150 people took part in Saskatoon's Women's March, with this year's theme focused on ending gender-based violence nationally and internationally. A mother and her 11-year-old daughter were among those who braved the bitter cold Saturday morning as part of the Women's March in Saskatoon, an event they describe as "empowering and hopeful." "I think it's really easy when you look at the news, especially in America, to be sad about things going on," said Etta Love, who sat on the organizing committee with her mother. "But it's also important to be surrounded by positive female role models.… It's amazing to be surrounded by all these women who think like you, or support the same ideas that you do." The annual Women's Marches began two years ago in Washington, following the election of U.S. President Donald Trump, with women from other cities joining in support. It has become an annual event, with this year's theme focused on ending gender-based violence nationally and internationally. 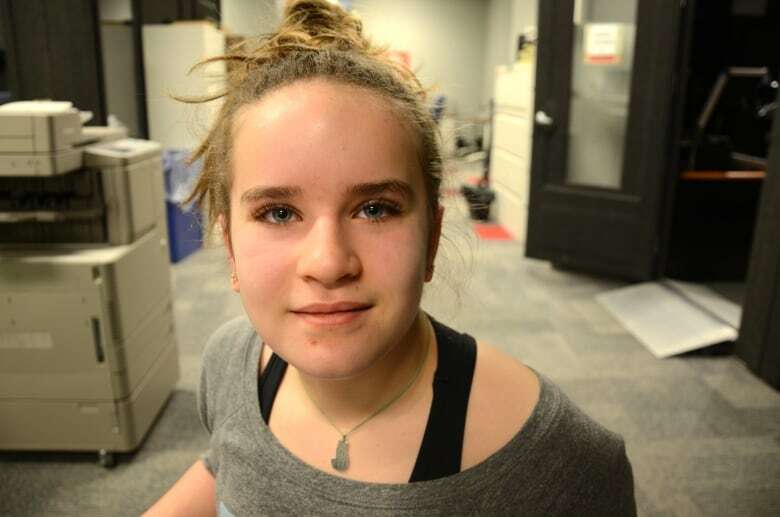 Fifty per cent of all sexual assaults are committed against girls 16 and under, said Etta, explaining one reason why she's passionate about the cause. "That's me and my peers for the next couple of years," she said. An estimated 150 people took part in the Saskatoon march on Saturday. "It was amazing how many people showed up despite the horrid weather," said Etta, who spoke at the event. "There were people that I'm pretty sure had frostbite and they were staying and walked across the bridge." Her mother, Emma, said her daughter might be young, but she's always been encouraged to think critically about the messaging around her. "As she investigated and read and learned, she became passionate. And we now are the ones following her lead." A march was also held in Regina Saturday morning.